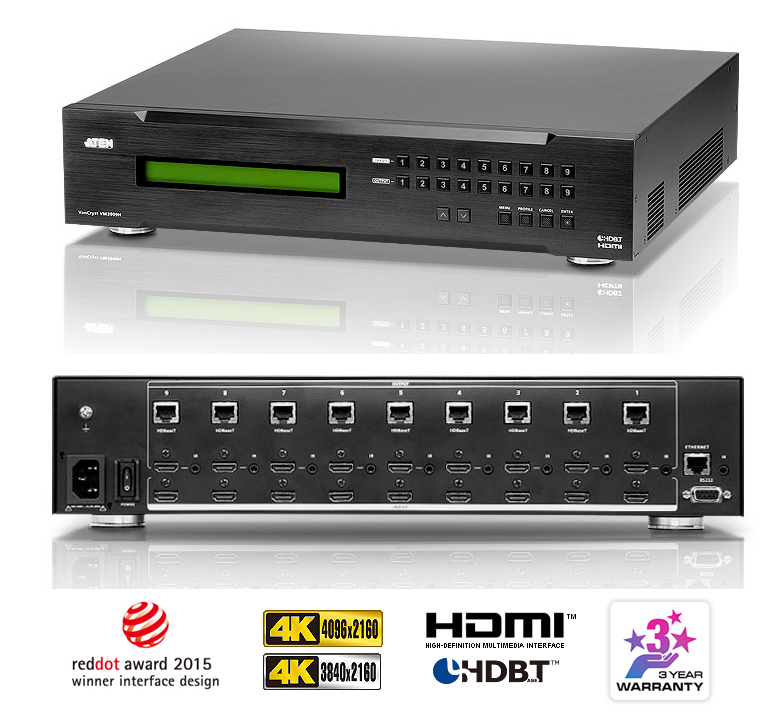 When the VM3909H is combined with VE805R receivers, it supports both ATEN Seamless Switch™ technology and Video Wall functionality. ATEN’s exclusive Seamless Switch™ technology employs an FPGA graphics processor to ensure continuous video streaming, real-time control and stable signal transmission across all sources. The Video Wall functionality allows you to create 18 video wall profiles for custom screen layouts through an easy-to-use web interface. The Power over HDBaseT (POH) feature provides an ingenious way to power the VE802R receivers through the Cat 5e cable without the need of using an additional power supply. The VM3909H offers flexibility with reliable signal distribution controlled via front-panel pushbuttons, IR, RS-232 and Ethernet (Telnet / Web GUI) connections. It’s designed as a functional and integrated control system built for residential, commercial and conference center settings.